According to VGR, the Fortnite hype has taken the world over, and almost everyone has heard of it. Unfortunately, some people are addicted to this video game, and the latest report indicates that this addiction can be very harmful. 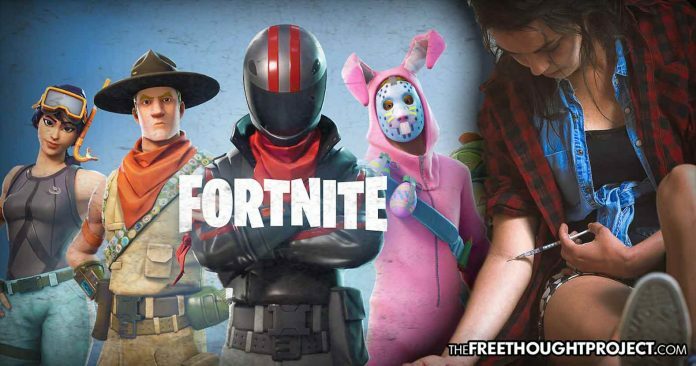 It appears that there are some Fortnite players who can’t live without the game, and their addiction is even being compared to that of a heroin addiction. Health experts also state that the popular video game can “get in the way of your child’s brain development.” Further explaining what exactly happens with kids in a video game addiction situation, Fortnite gets kids’ dopamine system involved and it releases addictive chemicals. These chemicals are very similar to a drug addiction, and the game creates cravings some people can’t live without. “I am obsessed,” one 13-year-old gamer told The Post in March. “‘Fortnite’ is special. I never wanted to play so much in my life.” Some of the kids who were tested by health experts for a gaming addiction were teenage boys, and one of them actually admitted that he was so addicted to the game that he continued to play Fortnite while a tornado was sweeping through his neighborhood. In June, the World Health Organization announced that compulsive gaming has been classified as a mental health condition as well. Taking personal responsibility for all addictions, whether they be drug or alcohol related, or behavior, such as social media and gaming addictions is not something many are prepared to do. And as society increasingly becomes more and more dependent on technology, these types of addictions will continue to worsen.